Welcome to week eight of the City Tiles quilt along! It’s the last week of the City Tiles Quilt Along! I can’t believe this is the last of the eight weeks! This last week we will sew our blocks together into quilt tops. If you aren’t quite there yet, keep sewing! And keep posting. I’m sure there will be plenty of other quilters right along side you. Don’t forget that Kaitlyn of Knot and Thread is offering 20% off quilting on any City Tiles quilt top! Take advantage of this before May 1st! Be sure to browse through the quilt along posts! Here we go on Week Eight……. Welcome to week seven of the City Tiles Quilt Along! 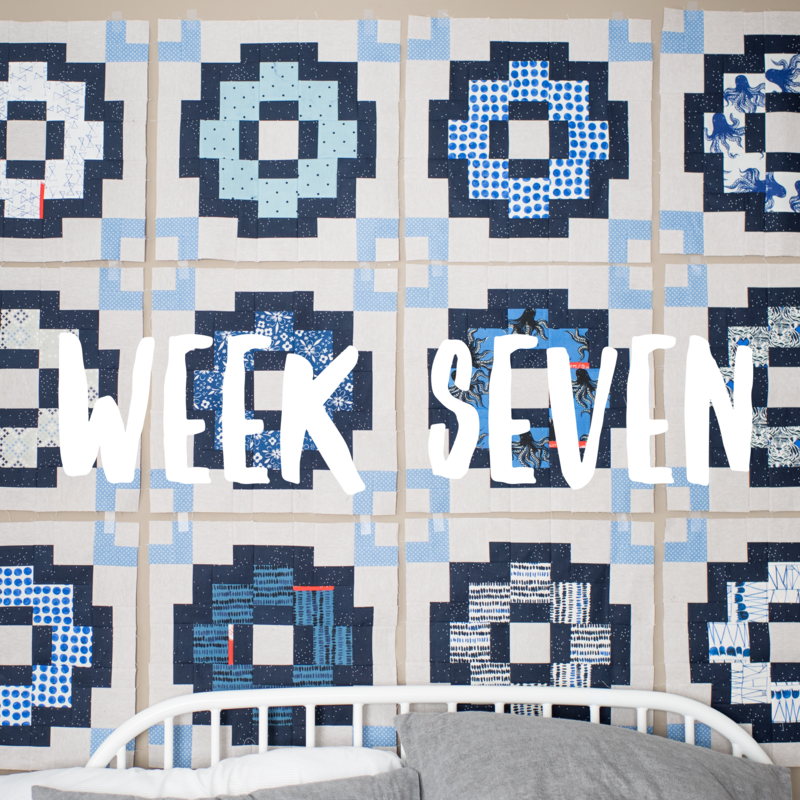 It’s week seven out of eight this week for the City tiles quilt along! It’s finish up our blocks week! Hopefully most of you will finish up your blocks so we can sew them together next week! Here we go on Week seven……. Welcome to week six of the City Tiles Quilt Along! 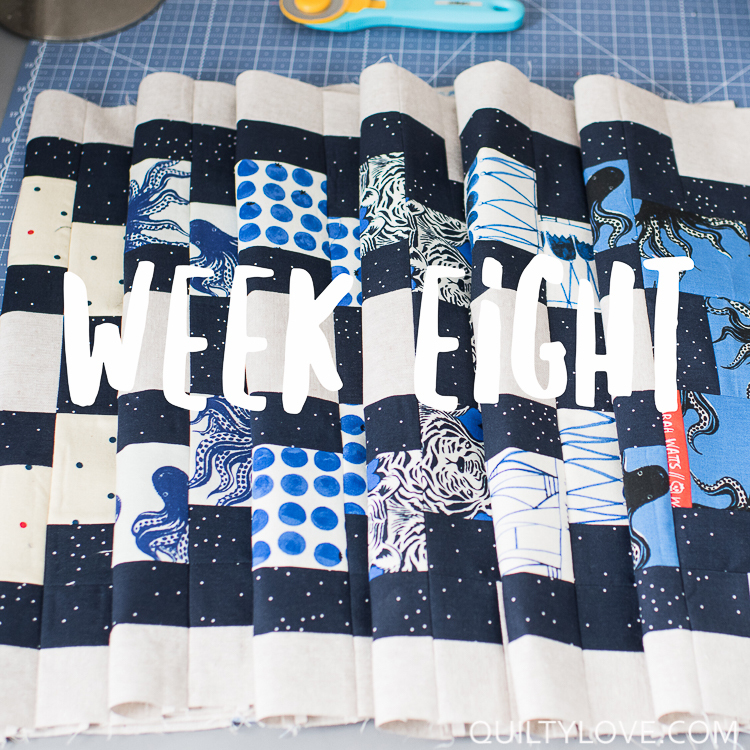 It’s week six out of eight this week for the City tiles quilt along! It’s catch up week! If your feeling behind, this is your week! If you are cruising right along, keep cruising! I would rather see you guys finish ahead of time then fall behind and be discouraged. Here we go on Week six……. 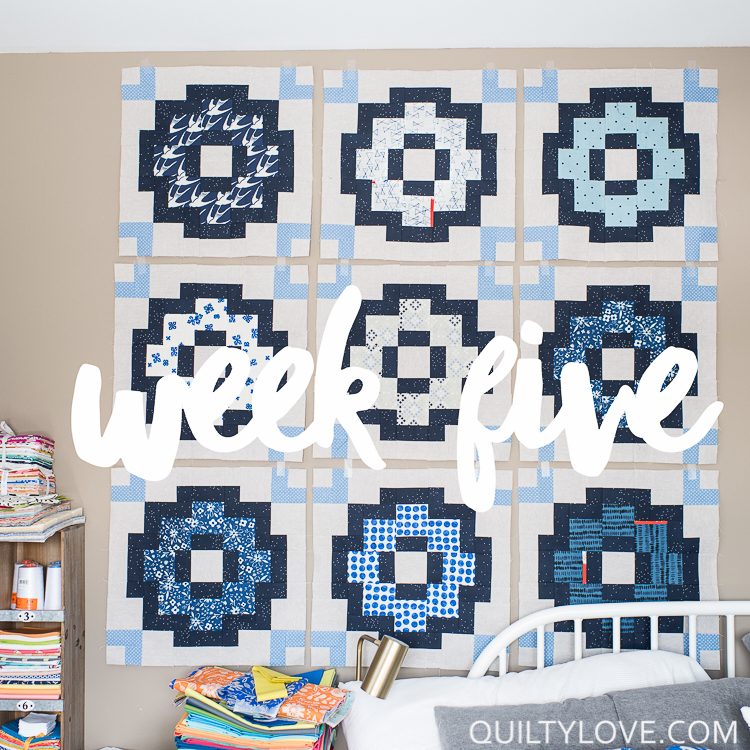 Welcome to week five of the City Tiles Quilt Along! 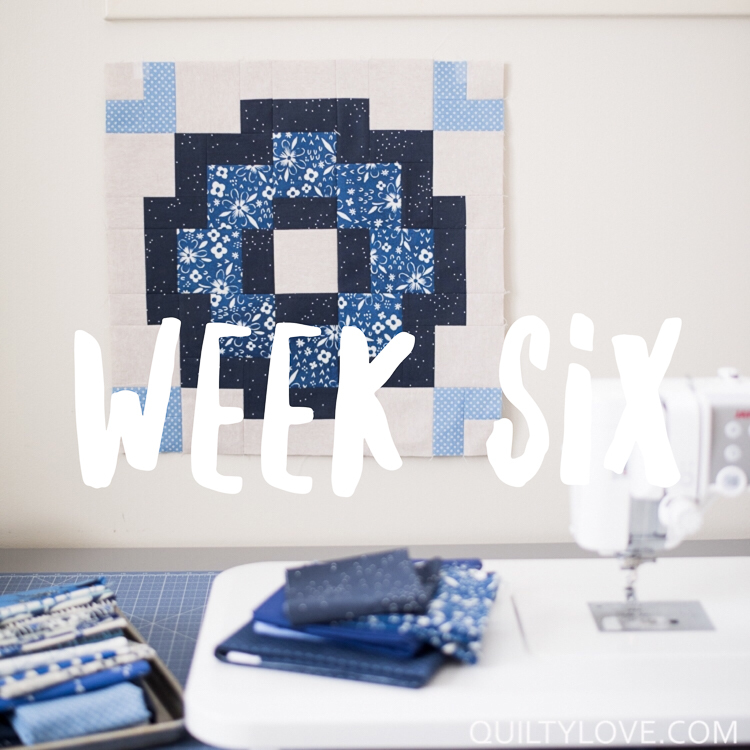 It’s week five out of eight this week for the City tiles quilt along! We are cruising right along :) If you feel like you are falling behind a bit, don’t you worry! Next week is actually a catch up week so set aside some time over the next week or two and get those blocks done. Going through the hashtag every morning has become my new ritual. I love seeing the progress you guys are making on this quilt. And I’m loving all the beautiful and unique versions out there. Here we go on Week five…….